Standing in front of mirror and combing is a common activity we generally do. But have you ever noticed that when doing this activity, you found clumps of hair in your hand on in the comb? How does it feel to have an unwanted hair fall problem and the biggest concern is that if it is not prevented then it can result out the baldness, which you don’t want at any cost. Generally, we try many home-based methods and techniques to rectify this problem. But do you think it is enough to prevent you from the hair fall problem. It would be the finest idea to consult any clinic that offers Hair Fall Treatment in Delhi or wherever you live in across the India. Now do you know about alopecia? Well in general term, it is known as baldness or hair fall. It is defined as the hair loss from the scalp area. No doubt, that hair contributes a significant part to build up your personality and public appearance. Well, we should take care of our hairs, wash them time to time, and apply suitable oil that nourishes their health. Unluckily stress has become integral part of our life that consequently affect badly on hairs. The tight schedule, heavy workload and improper diet can be the root cause of alopecia. However it can be genetics, but to identify the reason behind baldness one need to consult expert Alopecia Doctors so that the process of treatment goes in a right direction. Generally termed as hair loss issue, people seek right remedy to troubleshoot this ailment. But there limitation of DIY methods. How about go for Hair Fall Treatment in Delhi in which patient can feel relax about the remedy of that problem. Medication and treatment should be conducted under the supervision of authenticated dermatologist, surgeon and alopecia specialists. The age factor in this ailment is crucial because the hormonal balances changes from time to time. Sometimes malfunctioning of immunity system can lead to the baldness. Generally, the growth cycle of hair is known as anagens and when these are disturbed hair fall problem occurs in the result of that. Hair loss treatment center can perfectly suggest right way of operation. Considering all these possible circumstances, Advance Clinic is Noida based Hair loss treatment clinic that emphasise modern hair replacement and other hair fall related problems. It has become a household brand name to provide best-proven result to those patients, which are facing baldness or hair elimination ailment. There are expert and professional squad of surgeon who are certified and licensed with respective hair regeneration field. 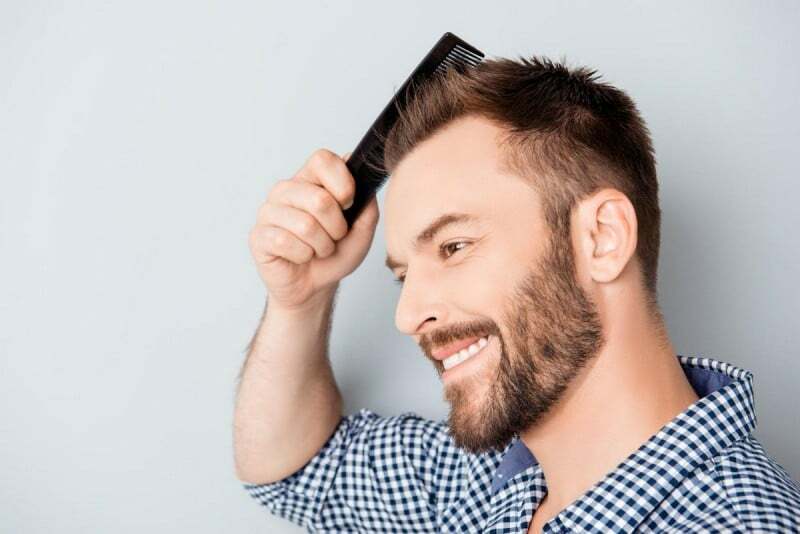 Concluding all-important points, we need to summarize the content of this overview about hair loss disease is that it is also important to live a balanced lifestyle. Most important is the intake of right food and diet that encourage the health of hair. Removal of stress and live in happy mode can be beneficial to our hair and overall health. If we won’t these basic concern seriously then it would be difficult to stop the hair loss issue.